According to Nassim Taleb, the core economic and financial problem afflicting major economies is a saturation of debt, both public and private. The current Eurozone and UK debt crisis is a manifestation of the age of austerity that lies before us. The United States and UK share the debt crisis afflicting Eurozone economies, however policymakers are still addicted to deficits even in the current critical economic environment. Taleb warned that a debt crisis could not be countered by taking on even more debt, a policy response he compared with giving more alcoholic beverage to an alcoholic. Nassim Taleb also pointed out that toxic assets on bank balance sheets were as severe a problem now as two years ago. While acknowledging that governments have used taxpayer money to take some toxic assets off bank balance sheets, he pointed out that further degradation of remaining bank assets due to deteriorating economic metrics meant that banks were as fragile today as they were in 2008. 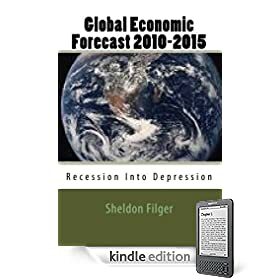 Ever since the monetary spigots and fiscal deficit pump primers were set on overload in the wake of the global recession that erupted following the Wall Street calamities of 2008, many economists have warned about the danger of a double dip recession. In other words, the underlying weakness of the advanced economies most impacted by the recession is so severe, an anaemic recovery may be shortly followed by a quick return to economic contraction. This is in fact what is increasingly likely to occur. After incurring a flood tide of debt to cover the losses of the private banking sector, many advanced economies doubled down their bets by unleashing another torrent of debt for economic stimulus activity. The Keynesian policymakers assumed that the massive dose of public debt would quickly restore economic growth, thus ending the global economic crisis. What has in fact happened is that unprecedented levels of massive growth in the public debt has, at best, bought a feeble, anaemic and jobless “recovery,” with many economists calling for additional deficits for more stimulus spending. However, the bond markets have begun to react to the increasingly unsustainable levels of public debt. Thus, in short order we saw the Greek debt crisis evolve into the European debt crisis. Sovereigns that once boasted of their deficit spending are now in a panic, desperately trying to find ways of shrinking their structural deficits. The UK is joining with major Eurozone countries such as Germany in warning their citizens that austere times lie ahead, as governments reverse direction and begin to cut spending. These sombre voices are being echoed by the International Monetary Fund (IMF) and G20, as those officials, largely American, who are still calling for more deficit spending are now being drowned out by increasingly desperate European sovereigns, who have caught the scent of public default and national insolvency, and the apocalyptic economic repercussions that would ensue. Now, what happens to a weak and artificial recovery from the worst economic recession since World War II when the fiscal deficits which alone underpin this so-called recovery are sharply curtailed? 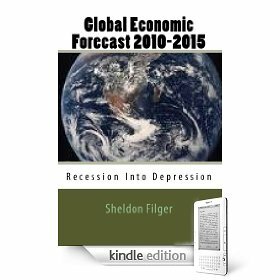 The answer is clear except to the politicians; double dip recession lies ahead, which will likely transform the global economic crisis into a full-blown synchronized depression. The world’s third largest economy is sending worrying signals to those whose best hopes for an end to the Global Economic Crisis reside with China. Though Chinese growth projections seems spectacular in a recessionary world, with estimates ranging from 8% to above 9%, there is both more and less to these numbers than meets the eye. The superstructure underlying China’s impressive growth rate over the past decade and more has been exports, especially to the American consumer, with facilitation from credit flows emanating from Beijing. In a situation where the central government is priming the stimulus pump, growth is being artificially created to a large extent, since domestic demand cannot compensate for China’s ravaged export markets. Factories may still be manufacturing export goods, however, the inventories are surging while shipments abroad are contracting. That appears to be the message revealed in new figures on China’s economic performance. According to China’s customs bureau, exports in July declined a staggering 23% from a year ago. This number is apocalyptic, yet on paper China’s GDP keeps soaring. How can an export driven mega-economy experience significant growth simultaneously with its core export sector undergoing a free fall contraction? By flooding the economy with liquidity through monetary easing, it would appear. However, this is not a recipe for long-term, sustained growth. This policy will only succeed if there is a rapid turnaround in China’s export trade. That is a dim prospect, in light of the continuing decline in employment numbers in most of China’s key export markets, especially the United States and the Eurozone. Another revealing statistic to emerge from Beijing involves lending. The first 6 months of 2009 involved a floodtide of easy credit saturating the Chinese economy. However, in July new loans declined by a massive three quarters from the prior month. It seems policymakers in China are getting more concerned about the prospect that overly-loose credit will fuel an asset bubble in Chinese equities and real estate, while leading to an increase in loan defaults in the future. Taken together, we see China engaged in a a series of massive interventions and policy actions in response to the Global Economic Crisis that are not dissimilar from other major economies. These steps are predicated on the hope that massive pump priming will keep the economy from imploding until there is a global recovery, enabling China’s export trade to resume its upward trajectory. In my view, despite the rosy growth projections, the underlying fundamentals of China’s economy are based on fragile assumptions. If demand for China’s export goods from overseas consumers remains far under peak demand levels for a sustained period, Beijing will confront this reality: the nation’s massive export manufacturing infrastructure cannot indefinitely employ workers who fabricate products that pile up on the docks of China’s major ports. That is the nightmare scenario China’s leadership circles pray never unfolds. George Soros: Global Financial System Has Disintegrated!